Atherosclerotic renovascular disease (ARVD) is a frequently occurring condition, most commonly observed in patients with other macrovascular diseases. The presence of ARVD is associated with a significantly increased risk for cardiovascular morbidity and mortality. 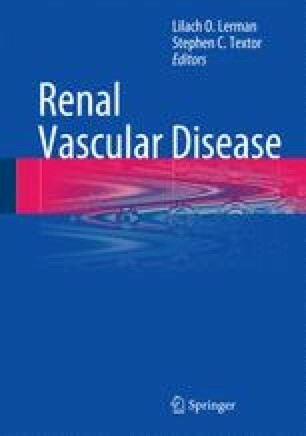 Although factors associated with systemic atheroma are implicated in the development of ARVD, the subsequent evolution of hypertension and renal impairment is more complex, with both whole organ and local factors playing important roles.